Congratulations to our Client Boppy for their feature on The Mommyhood Chronicles! The new Boppy Baby Chair was designed to go from floor seat to table seat.Â It also folds easily for smooth, compact travel (and storage!). 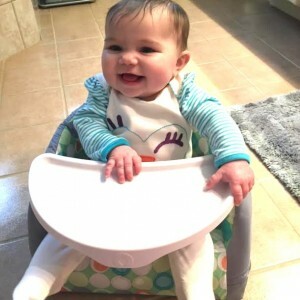 Â Part highchair, part booster and part floor seat, the Boppy Baby Chair can be used on infants as young as three months and grows with baby until they reach their first birthday. It’s one chair for all your needs! Check them out at boppy.com!